Tripletail are one of the best tasting fish in the ocean and can be found in our area during certain times of the year. They will eat a variety of different baits, from artificial to live but we have found the best way to catch them is with a live pilchard. They have bad eyesight so the key to success a lot of the times is putting a bait right in front of their face. They can be found offshore hanging around the buoys attached to the commercial fisherman’s stone crab traps. They lay next to the buoy like a piece of debris waiting for an unsuspecting bait fish or shrimp to swim by. Naturally the time of year we fish for them coincides with the sone crab season, see our fish seasons for more info. 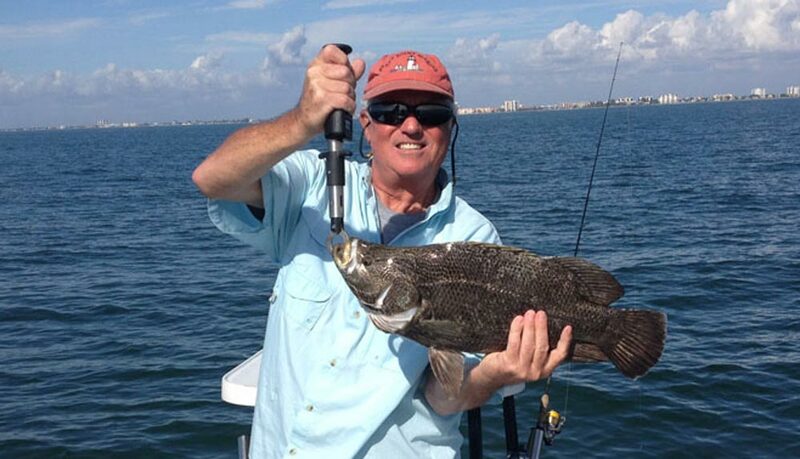 Tripletail are one of the best tasting fish in the ocean and Captain Mark Yimins personal favorite. To get the best flavor from tripletail it is best not to fry it. Grilled blackened or sautéed is best.